The CU Blogs service uses the WordPress platform and is hosted in the cloud by a 3rd party vendor, CampusPress. Who can use CU Blogs? 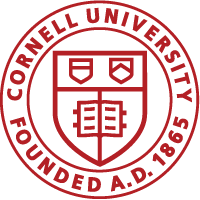 Cornell faculty and staff: Request and administer blogs. Students and people outside of Cornell: Contribute to blogs. What is the cost? The cost for non-academic blogs is changing. See details on the Blogs Fee page. Can I get help with formatting, custom themes, or complex changes to my blog? Help with styling, formatting, or more complex changes to your blog are available through two fee-based services. View fee rates. Support for CU Blogs: One-off or small changes to your blog. Custom Web Development (CWD): Customizing a site, design, or development work.